Welcome back Stone Creek families and welcome “New” Stone Creek families! We are excited to extend to you an invitation to support & join our school’s PTA. Who are Stone Creek PTA? Why is my support so needed? The purpose of Stone Creek Elementary PTA is to enhance your child’s education by funding programs and services not supported by Irvine Unified School District (IUSD) or Irvine Public School Foundation (IPSF). Our two main fundraising events each year are our Fall “Pledge & Membership Drive” and our Spring “Jog-A-Thon”. These events raise money to support our various activities that enhance the children’s education throughout the school year. Why a Pledge Drive vs. Fundraising? By running a Pledge Drive, Stone Creek PTA receives 100% of every dollar donated, which then goes directly to the benefit of the children. Less Pressure – Puts an end to constant fundraising, allowing you to make a school direct donation. Better Use of Resources – Allows PTA volunteer’s to concentrate on developing valuable enrichment programs to increase our children’s educational experience. Tax Benefits – All donations are tax deductible as Stone Creek Elementary’s PTA is a non-profit organization. Company Match for Charitable Contributions – Before you make your donation, check with your employer about a matching gift program. If your employer has such a program, all you need to do is request a matching gift form, fill it out and send it in via your child’s teacher (some are online and super simple to process). Then notify the PTA Pledge Chair when to expect the matching gift from your company. When? Starting from the first day of school through to around the end of the third week of September; but of course, we will accept donations anytime of the year. Amount? We are suggesting that EVERY FAMILY with 1 child pledge $100, 2 children pledge $200, 3 children pledge $300, OR donate an amount your family is comfortable with and purchase a PTA membership. We make a recommendation only to ensure our budget plan for the year can be met. If we don’t meet it, planned activities and events need to be scaled back, directly impacting on the children. How? Using our simple online credit/debit card payment website, or by check or cash through our pledge packets, available in the front office. Why should I become a member of our school PTA? Have a “Voice” – Supporting the PTA can be a way for you to more effectively suggest new ideas. Get Connected – There’s no better way to know what’s happening in your school, meet other parents, your school staff and build relationships while supporting our school, especially through volunteering. Witness Improvement – By getting involved with your school, you’ll be part of the solution, helping make positive changes. Enjoy Membership Perks – PTA members can take advantage of local discounts at amusement parks and aquariums which you receive once you become PTA member. Provide Support & Enrichment – PTA volunteers concentrate on developing the valuable enrichment programs for students and our school community as well as additional financial for materials/technology. School Directory – Only PTA members receive a copy of the school directory. Lunchtime Activities once a week. 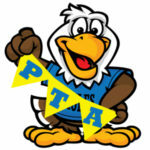 We are excited about our upcoming school year and your participation in Stone Creek Elementary’s PTA. Let’s show our kids how much we care about the quality of our Stone Creek Elementary community! Please contact us with any questions via the email addresses below, or through this website contact form. Thank you for your generous support!